Many of Russia’s most talented developers shift abroad to work for foreign companies, but a great deal of talent remains. There is a lot more to the domestic video game industry than Tetris, for example, with a psychedelic racing game, a dark RPG and a summer camp visual novel vying for honours. Russian gamers themselves have a somewhat sceptical attitude towards locally produced video games. As Dmitry Nozhnin, a developer, recalled in a 2013 article, the less reputable stores used to sell some Russian games, packed in boxes carrying English version cover designs because Russian-language titles hurt sales. It makes sense: The general quality of most Russian video game releases is really rather poor. Video game critic Igor Lyubavin says insufficient funding is to blame. “Video games have long become an art form in the West, while in this country, they are still looked down on as something that is exclusively ‘for kids,’” he said. Still, those rare Russian video games that do manage to take off tend to become beloved classics within the country. One that rose to (relative) fame worldwide is War Thunder, a Russia-developed massive multiplayer online game featuring battles between World War II-era planes and vehicles. Being easy to learn, but also incredibly detailed, War Thunder has attracted quite a following, tallying 7.2 million hours played worldwide since its release. Sadly, some of the other good Russian games weren’t as lucky. World War II has a very special place in the hearts of Russians. The 1940s are a fairly common setting for Russian fiction, video games included. 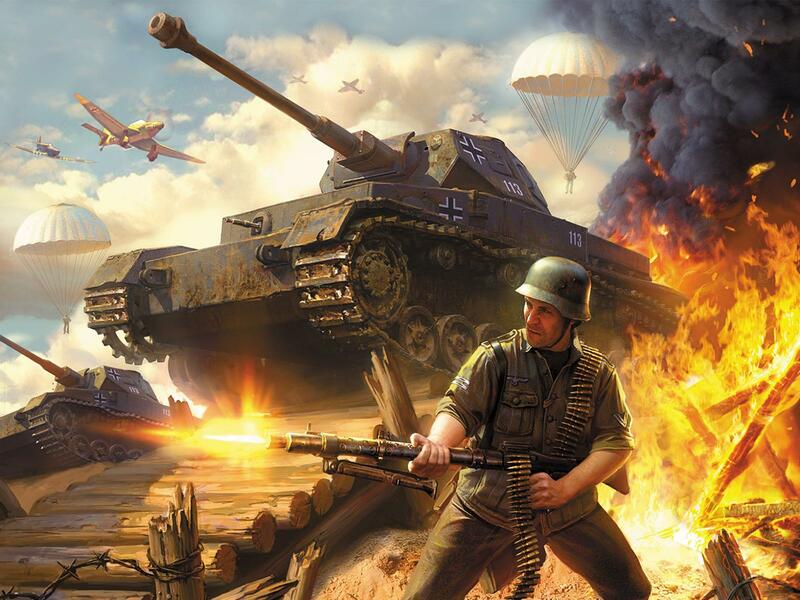 If you feel you’ve had enough of War Thunder, try ‘Blitzkrieg’. In this 2003 real time strategy game, the actual strategy part is understated – you don’t even get to build bases. Instead, it is all about tactics – you have to defend your troops while on the move, assault towns, provide suppressive fire to get past enemy guns nests, and get your supply vehicles through to your front-line units. After an hour spent fiddling with cargo trucks you are likely to curse the name of the developer – it’s Nival, by the way – but you’re just as likely to get addicted to the game, much like Mark from the British comedy Peep Show. Everlasting Summer is a visual novel, which tells the story of a young recluse who falls asleep on a bus in modern Russia and wakes up in a Soviet era summer camp. If you like love stories, escapism, great art or anime, do give it a spin. If you think that erotica and video games are incompatible, move right along. Since 2014, the game has been available on Steam, where it holds a 94 percent approval rating. Now here’s a perfect example of insufficient funding: numerous bugs, outdated graphics, unintuitive interface… Still, Pathologic was named Game of the Year in 2005 by both LKI, an influential video game magazine, and ag.ru, a video game review site. This mystical, grim survival-RPG set in a town dying of a strange pandemic was hailed as a masterpiece by critics and audiences alike when it was first released. If you haven’t played it yet, you should wait till November 2016: the game’s developer, Ice-Pick Lodge, plans to release a full remake this autumn, fixing all the technical issues that plagued the original (pun intended). In the oft-quoted words of an exhibition critic who reviewed it, this game is “like taking a driving test while high on LSD.” This is an uncannily apt description of the surrealist world of Vangers, where half-mad humanoid insects emerge from a “Bouillon of Spawn” boiling on forgotten planets. Blessed with a very unusual gameplay, this 1998 arcade combines sandbox freedom, RPG elements and post-apocalyptic vehicular combat. It also had a destructible voxel environment 13 years before Minecraft. A remake of the game has been available on Steam since 2014. “It was a mix of opposing genres, an outstanding thing for 2004,” said Igor Lyubavin. “There hasn’t been anything quite like it ever since.” In space in the 33rd century, staying alive as a freelance space rogue means being able to both quickly press buttons in arcade-style combat and think five turns ahead in turn-based tactics. The game has all the elements to be called an RPG: role-playing, levelling, grinding, ethical dilemmas, and so on. Piracy, trade and space battles are turn-based, planet-side combat is in real time, while hyperspace flight is an old-timey arcade mini game. The standout parts of the game are the adventures on foot, which are designed as text quests, the forerunner genre of visual novels. Among the things that made Rangers famous is the humorous mood that persists no matter what you do – selling beer on galactic highways, conquering new star systems, or solving riddles about feeding bizarre alien creatures. Warning: Those looking for space opera heroics and grandeur will be disappointed.